The year 2017 saw an immense rise in the number of newbies, both in the acting front as well as behind the scenes as directors. This translated to a good number of gems that left audience lost for choices. Here is a list of films that I loved the most in 2017 and incidentally, most of the films are by debutant filmmakers while the rest of them are also by those who’re barely a few films hold. What a great time to be a lover of Tamil cinema! PS: Kindly note that these films are in the order in which they released. Who would’ve thought 2017 would start with a medico thriller that’s not preachy but entertaining with ample scope given to action, romance and family drama? 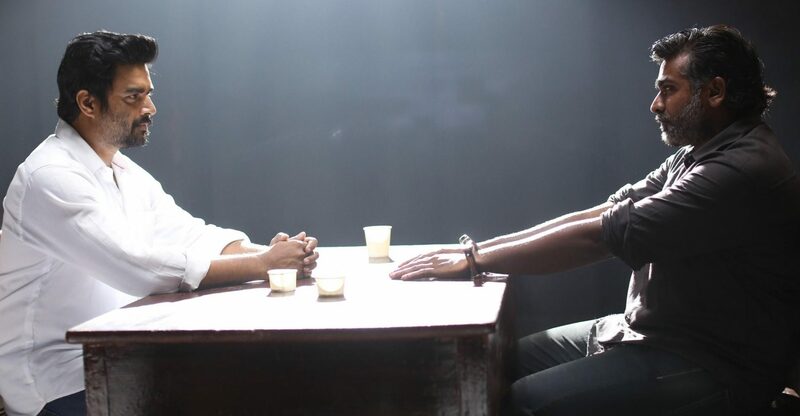 Not to mention Arun Vijay’s chiselled looks that perfectly fitted his cop avatar – something he looked suave in after his portrayal of Victor in Yennai Arindhaal. Action thrillers aren’t a joke. Imagine doing one with newbies. Now add the fact that none of the cast members has a character name. If that’s not enough, add hyperlink storytelling to it. 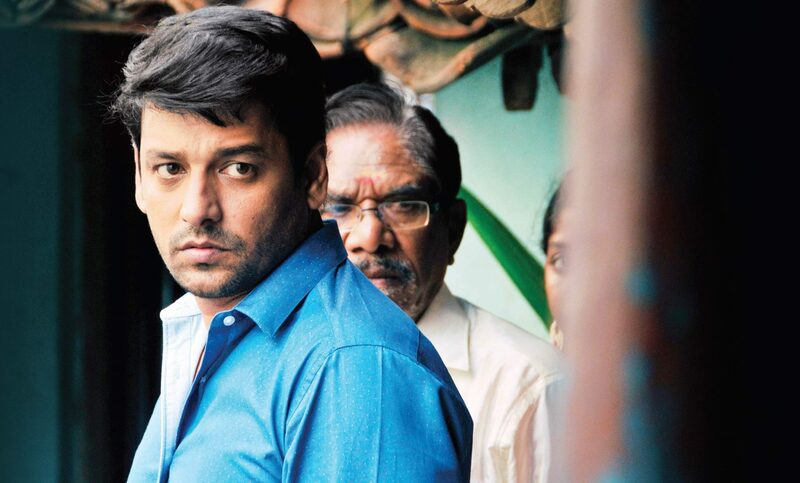 What we get is Maanagaram – an extremely good tale about strangers who’re stuck in different situations. Thanks to this flick and Dunkirk, the hyperlink narration fan in me was happy this year! 8 Thottakal is a classic example that the story matters more than everything else at the end of the day. Though the lead characters don’t leave a mark with their mediocre acting, veteran MS Bhaskar steals the show with his out of this world performance. Slow yet riveting, it’s a film that just grows on you. Raw, explicit and a tad disturbing, Lens held nothing back when it came out, speaking about the evils of technology in today’s world and how corrupted minds are taking advantage of it. Though packed with newbies, their convincing performance makes us feel as if we’re a part of the story and thank goodness we aren’t! Each might have their favourite film this year, but this one is my pick if I had to choose just one. Probably the most realistic take on a rural subject, Oru Kidayin Karunai Manu believed in its script rather than piggybacking on star power. Hilarious, thanks to a wicked sense of humour, despite umpteen characters, each one is unique in its own way and is sure to make a lasting impression. Oru kadhai sollata saar? Talking about star power, Vikram Vedha showed what it can do when coupled with a stunning story and a gripping screenplay. If it takes a director duo like Pushkar–Gayathri seven years to come up with a script like Vikram Vedha, I personally wouldn’t mind such a huge gap between films from all my favourite filmmakers. Yet another film that’s based on the city of Chennai, Taramani was a realistic take on two people just like you, me or someone we know. What I loved about the film was the fact that it only had characters instead of lead actors. These characters were a mixed bag of emotions, who failed, made mistakes and more importantly, were imperfect. Probably that’s what made the film perfect! A good story can only be made better with a tight screenplay and Kurangu Bommai is a textbook example of this. Though having a good balance of comedy, romance and sentiment, the film based itself as a family drama – exploring the often misrepresented relationship between a father and a son. Vidharth and veteran director turned actor Bharathiraaja were perfect in their roles. The shocking climax is something which took me a while to come out of! A number of female-centric films hit the screen this year and most of them turned out to be good ones. 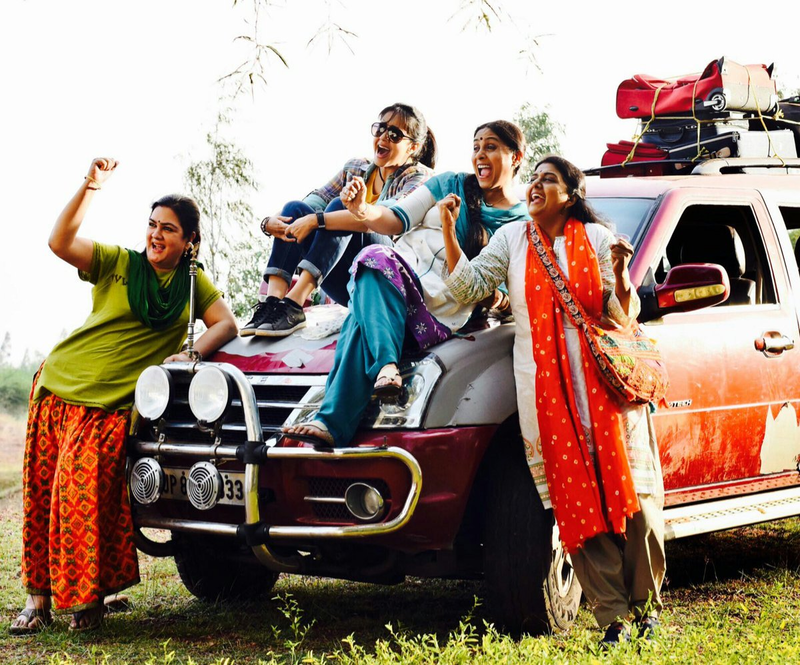 What makes Magalir Mattum stand apart is the fact that the film revolves more around the friendship of three women than around its heroine Jyotika. Though being a feel-good film, it’s laced with many messages that are relevant to the current issues we see in our everyday lives. Aval reminded me of a number of Hollywood horror flicks. But still, the film made its way to this list thanks to the fact that it didn’t follow the run of the mill formula that almost all the umpteen horror films which released this year followed – rely on jump scares and wacky camera works. Instead, the storyline was interesting, the back story was intriguing and the performances too were natural and real. A film that cemented Nayanthara as the queen of women-centric films, Aramm is one of my favourites this year thanks to the fact that it wasn’t a Nayanthara film. Whatever the director had wanted to show, was there on the screen and the actress was just another character in the film. Anyone could’ve starred in this film and that’s why Nayan has to be lauded for selecting a script that’s got its story at the hero’s seat. Packed to the brim with messages, Aramm is a film that would give you the satisfaction of watching a good movie. Yet another film that proved that a good story and a stellar cast can do magic. Though I wasn’t a fan of the romance portions that looked completely out of place and forcefully added, the story and the research that went behind it makes Theeran Adhigaram Ondru one of the best cop films of this decade, if not ever!